I’m going to come right out and say that the fated mates plotline is one of my favorite tropes in romance, but it’s so easy to mess up. On top of that, it’s mostly prevalent in paranormal romances or any other subgenre of romance that deals with the fantastical. You’d be hard-pressed to find this in something like a contemporary or historical romance. But I also suppose that’s part of the fun: physically powerful characters that are essentially powerless in face of fate. The Appeal: Perhaps I’m a sadist, but I love watching two people fight endlessly against their attraction. It’s even better when they know they’re supposed to wind up together, but they’re just so damn stubborn. In general, I find the concept of fate to be fascinating – whether people in exist in it or not – and I can certainly understand a character’s need to rebel against what is supposed to be predetermined. There’s also a ton of sexual tension in these sorts of romances since their bodies recognize the need to bone, even if they aren’t emotionally onboard with committing themselves to a relative stranger. It’s so cute when the characters think a quick roll in the hay will just cure them of all that unresolved sexual tension. Silly rabbits. That’s not how this works. The Pitfalls: As I mentioned earlier, this sort of plot device tends to only happen in paranormal romances or similar genres (feel free to throw one my way if you see it in another genre), and not everyone likes reading about vamps, werewolves, and other supernatural creatures. Romances go through trends and while paranormal romance may have been huge a few years ago, some readers think that interest as waned. I know mine has, and I only stick with authors I’ve previously read and loved. Another thing is that some of the work of romance is already in play. Romance tends to operate on a happily ever after at the end. With the two main characters destined to be together, that “will they, won’t they” element is drastically reduced and the romance becomes more of two individuals either trying to fight fate or deal with being “mated” to a stranger (much like in the marriage of convenience trope). Readers don’t want things to be too easy for the main couple, so it has to be a delicate balance between bridging the physical or magnetic attraction of a character recognizing his or her mate to a deeper emotional connection. This is, hands down, part of my favorite paranormal series (Immortals After Dark) and book sixteen just came out. Every book operates on a one couple per book basis and each one as the fated mates trope, though with such a large cast of supernatural characters (Valkyries, demons, werewolves, vampires, fey, etc.) there’s a lot of variety with how each race deals with mating rituals. 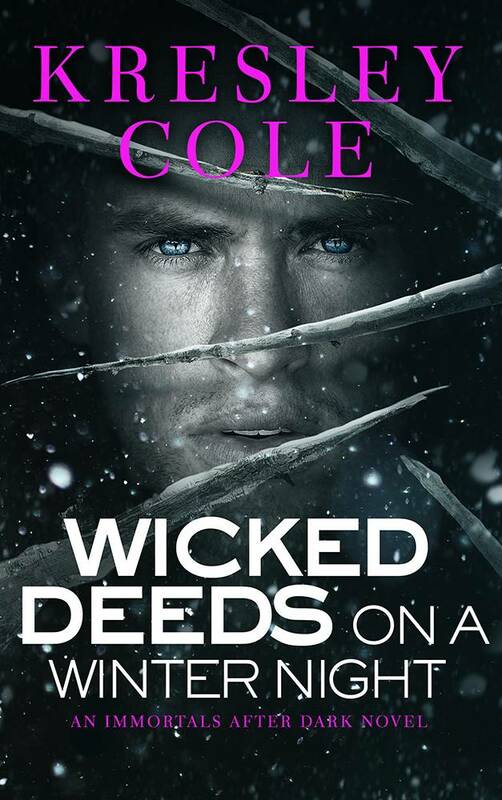 Earlier in the series, you can get away with reading them out of order and book four, Wicked Deeds on a Winter’s Night, is one of my favorites in the series. The hero is a werewolf who thought he already found his mate and lost her, so when he starts getting mate pangs for a witch, he fully believes she’s trying to trick him. This is the first book in Singh’s longstanding Psy-Changeling series, which I highly recommend, and it subtler when it comes to her characters being mated. Whereas Cole’s characters tend to know on instinct, Slave to Sensation uses a delicate touch and the hero and heroine’s connection to one another takes time to manifest. This series also has a great blend of the paranormal with some science fiction, if vampire romances aren’t your bag. I can promise that once you start this series, you won’t want to stop. And even once you finish, Singh has a couple other great series (angels, anyone? How about rockstars?) to tide you over while waiting for the next Psy-Changeling book. I’d say this is more of a scifi romance since it takes place on a futuristic fictional planet called Celta. On Celta, citizens have the ability to find their HeartMate (or soulmate). There’s also a ruling class of nobles and class differences play a large part of the series, which is another trope I happen love. This is the first book in the series and the hero has bittersweet feelings upon finding his HeartMate. Even though he’s currently a nobleman who crafts kickass jewelry, he comes from very humble beginnings (I’m putting that mildly), which he’s concerned might put the heroine off. Let me add a disclaimer that this is one of those series that starts off just okay and definitely gets better. If you give the first book a try and you have some issues, feel free to reach out to me as your personal cheering section. Does this sort of plot work for you? 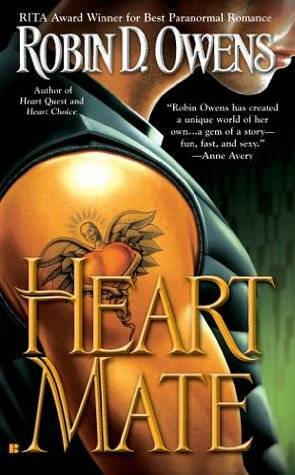 Are there any books you love that use the fated mate trope?